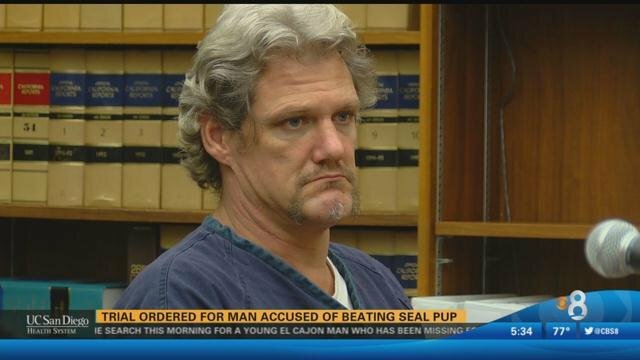 SAN DIEGO SEAL KILLER TRIAL began on Tuesday for a homeless man accused of beating a seal pup to death. Roy Lee Miller says he killed the animal because it was making strange noises and seemed in distress. Miller, 44, was arrested on a warrant and arraigned in Superior Court on a charge of cruelty to an endangered or protected animal. Miller is accused of repeatedly striking the seal pup in the head with a rock, leading to its death. The attack occurred last February underneath the Sonar Bridge off North Harbor Drive. Miller faces 5 years in prison, if convicted.